My first beer festival of the year went off without a hitch! The organizers of Winter Brewfest listened to all of the suggestions from last year and made the changes needed. Thank goodness! Noted improvements were.....The RFID bracelets were awesome. You didn't have to carry anything except your cup. They made the cups a more reasonable size and plastic! YAY! They split up the giant keg so everyone wasn't bunched in the middle. Lines were WAY more organized. Very few of those beers ran out on Friday night. There were also less booths there allowing for more room for people. There were lots of picnic tables AND giant Jenga. Wow! Many of the usual suspects where there, such as Mill Street, Beau's, Brickworks, GLB and even a newcomer, Market. When I spoke to them, they said they had only been open 3 weeks! They are coming into the beer game with enthusiasm, that's for sure. Well done! Brickworks had their new Peach Cider and it was refreshing. A great summer drink! Tried a few QC breweries; Dieu de Ciel, Tuque de Broue and Le Trois Mousquetaires. 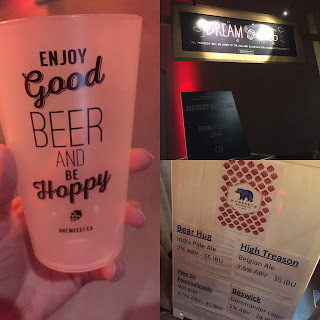 Great beers and was happy to get to try them! 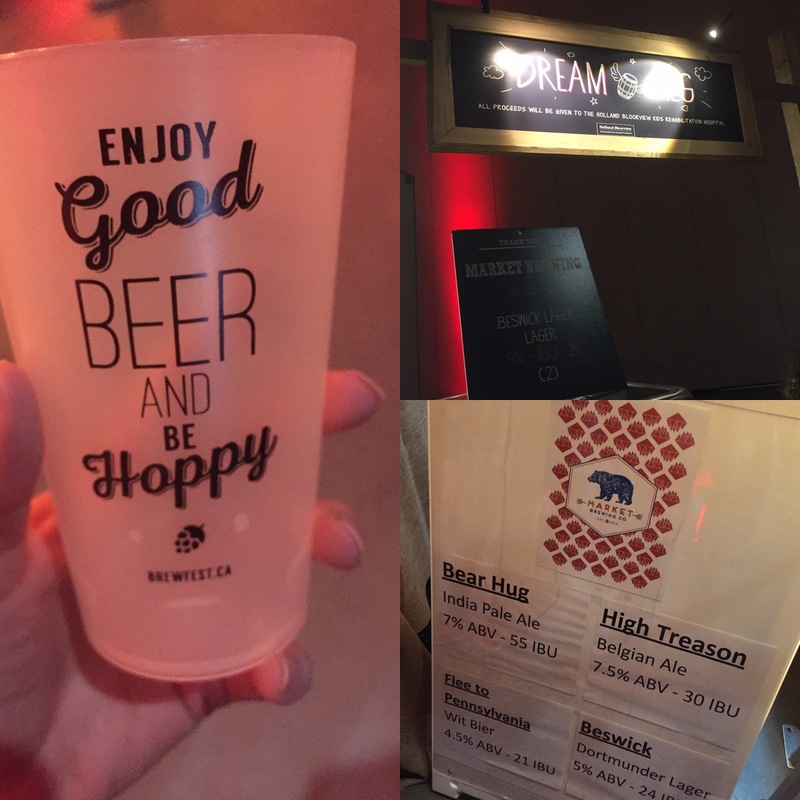 One particular booth was rather interesting; #FreeTheBeer. They came all the way from Alberta to talk about the interprovincial dilemma the beer industry is having at our very own Brewfest. You'd assume as the product was MADE in Canada, that it could be SOLD anywhere in Canada. Free trade? Not so much. It was an eye opening conversation to say the least! Check out http://www.freethebeer.net for more info. I was actually concerned that Winter Brewfest may not return, but I'm glad they did. They fixed the issues and made it a great festival. This is how a beer festival is supposed to flow and it can only get better from here!